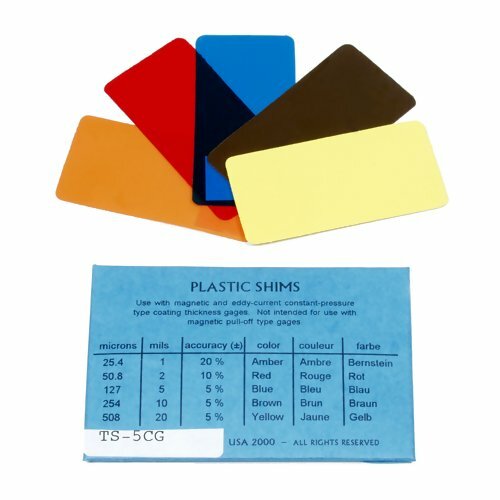 The TS-5CG Commercial Grade Shim Set verifies the accuracy and calibration of all Coating Thickness Gauges with shims. 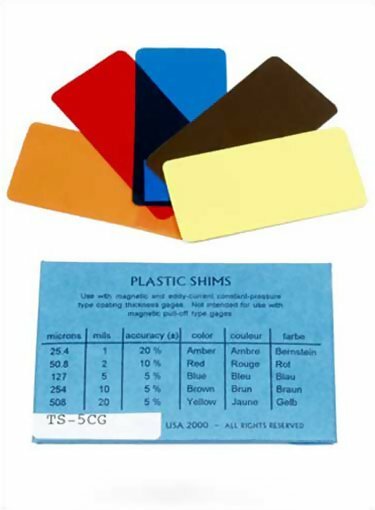 TS-5CG Commercial Grade Shim Setincludes 5 plastic shims. Please refer to the table below for shim sizes.